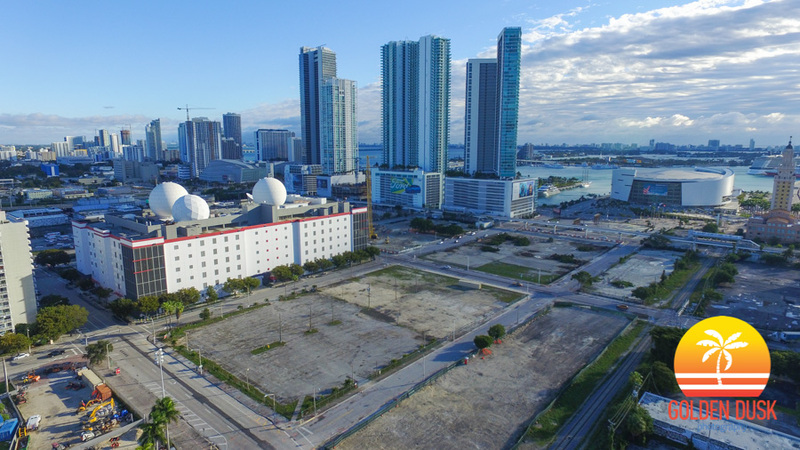 At the 27 acre Miami Worldcenter site just North of Downtown Miami, site work continues with any previous buildings on the land completely demolished and removed. The project will have residential towers including Paramount, hotel, convention center and retail. Originally, the retail portion of Miami Worldcenter was to include an enclosed 765,000 square foot mall that was to be anchored by Macy's and Bloomingdale's. The developers, Miami Worldcenter Associates, have changed plans and now will have a "high street" retail concept as an open air mall that will be more pedestrian friendly. The open air mall will run down NE 10th St to NE 7th St between NE 1st Avenue to NE 2nd Avenue. The official groundbreaking on Paramount and retail will begin next month in March.